we are going to be drumming next! 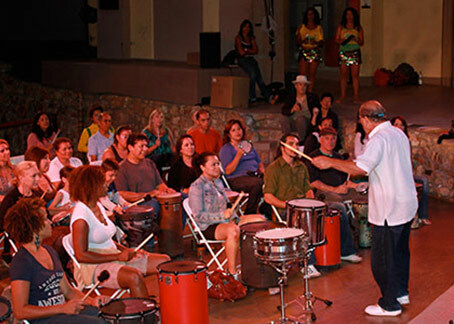 As a Remo USA endorsed artist and also endorsed by the Los Angeles Ford Theatre Foundation, Christopher is recognized for his unique approach as a motivational drum circle facilitator sharing his passion of love for drumming with many diverse communities. 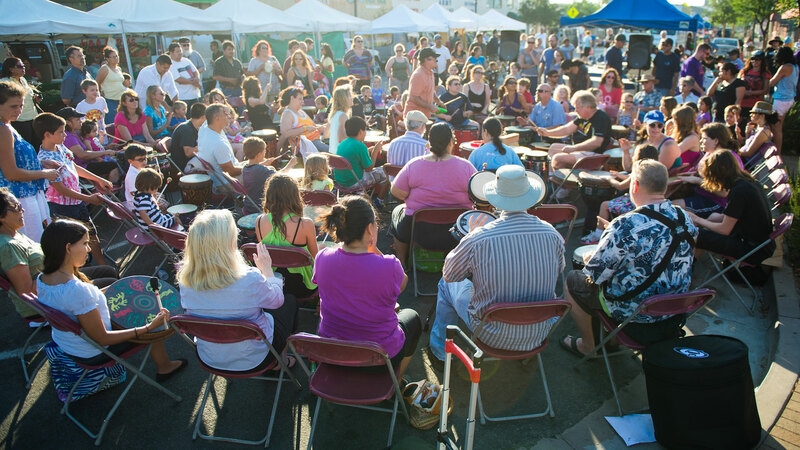 A drum circle is an interactive and inclusive drumming experience shared by all participants with little or no prior musical experience required. 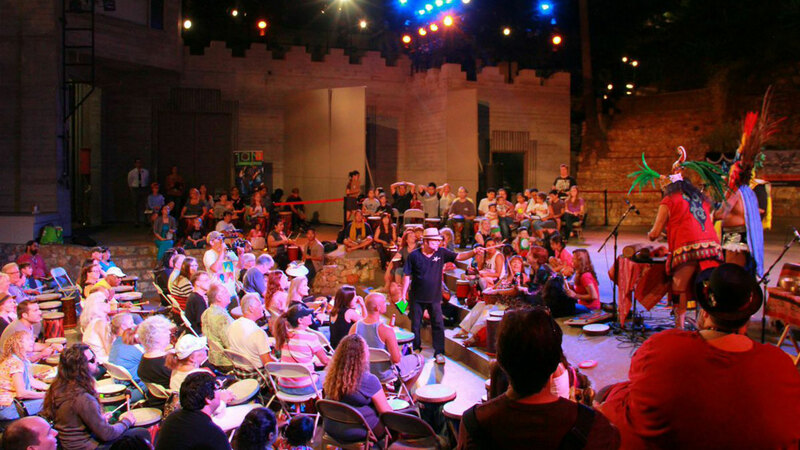 These events are participatory and centered around movement, musical fun and improvisation. 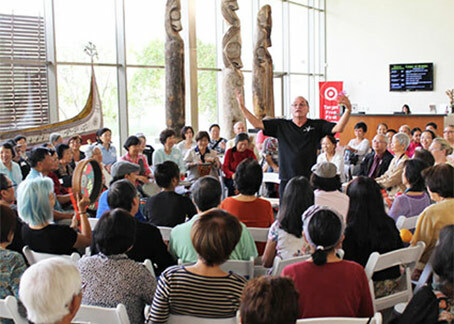 FDC shares the ability to ignite the spirit of children and adults in schools, workplaces and diverse communities throughout the Greater Los Angeles Area and The Bay Area and beyond. It is always a beautiful sight to watch and hear young teens put away their differences and come together in one unified rhythm. 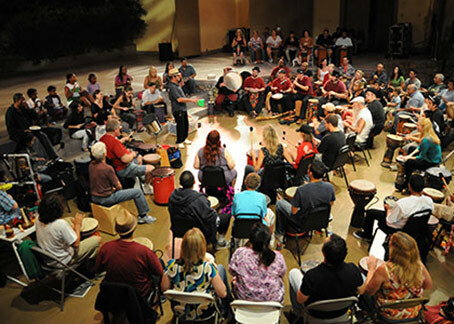 Drumming nurtures inspiration and camaraderie in a fun and creative way. 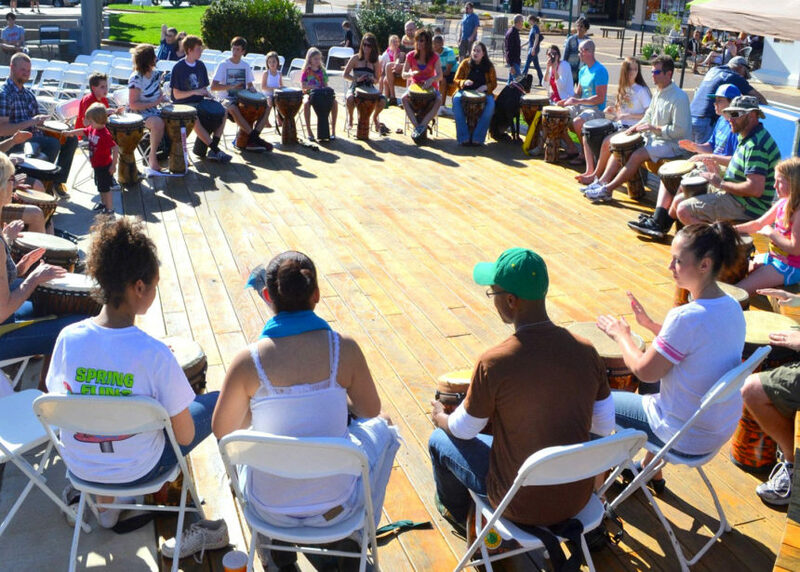 Drumming as an enrichment program has many benefits to the young at risk. Chris Ramirez is one of those patient, veteran musicians who knows how to effortlessly extract the very best out of students. He performs and teaches a broad range of drum styles that always makes you want to get up out of your seat and dance-while you’re still mastering his technique. For me, it’s been nonstop fun! Freedom Drum Circles with Chris Ramirez rocks. Chris is one of the best drum circle facilitators in the U.S.A. Do yourself a favor and attend Freedom Drum Circles you will love it. 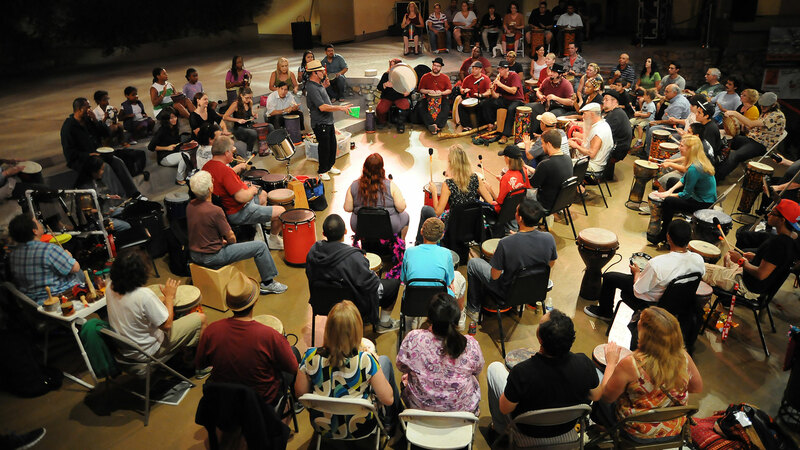 I’ve hired Chris with Freedom Drum Circles a few times and at various institutions to do community building, to create fun and interactive experiences, to lead alternative drum circle focused worship sessions and as an ice breaker. 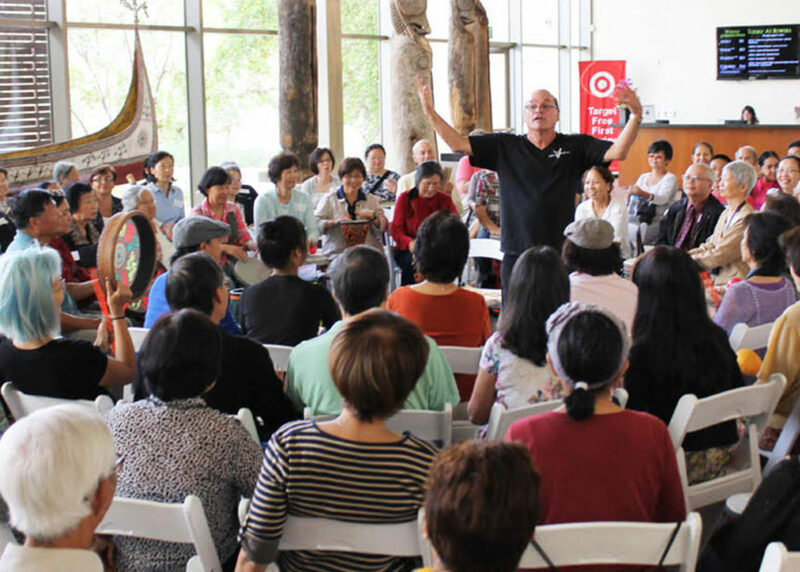 He is gifted educator, an empathetic, insightful, patient, and caring individual, a super experienced percussionist and group facilitator, easy to work with, communicative, and very professional. Not to mention he comes with super nice drums that are fun to play and sound incredible. 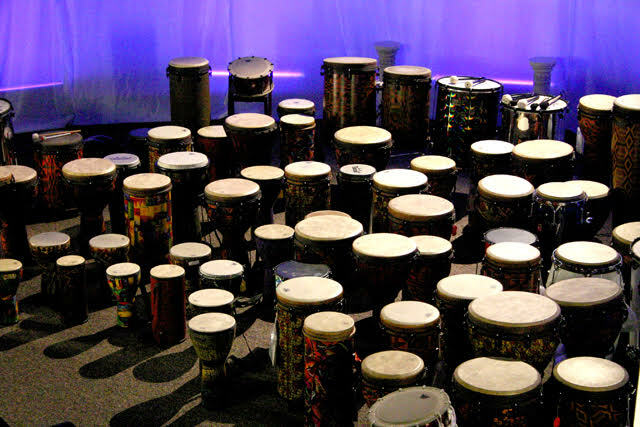 Don’t sleep on an opportunity to use Freedom Drum Circles, and if you can, find a way to weave them into your program. Chris’ drum circles are always a highlight of my programmatic year. This is the exact kind of activity that speaks to all people indiscriminately. 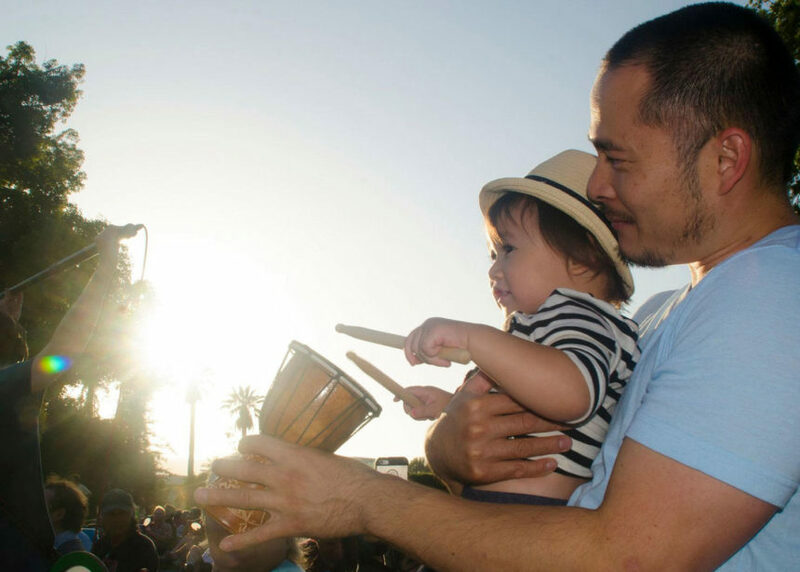 Music, and more specifically, drumming is a powerful tool that binds all people in the same way as a smile. 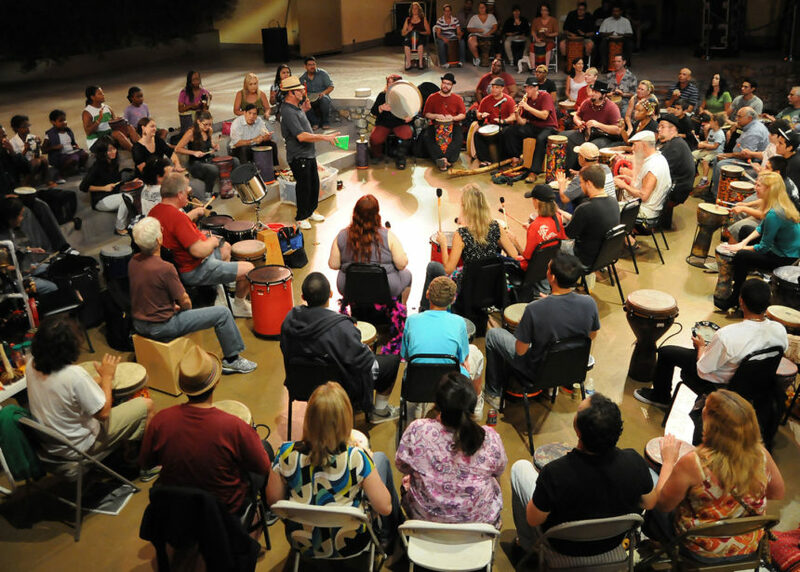 Freedom Drum Circles masterfully gives participants access to approach and use this tool and will unify/bond any group of people. Chris Ramirez is the most awesome drum circle facilitator and teacher. He is very inclusive of all skill levels. 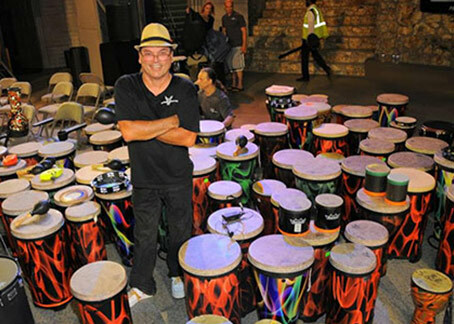 His extensive experience in all forms of percussion and all world rhythms is shared with us at the drum circles and the drum class. The energy is beyond belief and so much fun. You won’t be disappointed! Without a doubt, one of the most wonderful human beings and drumming teachers L.A. could have. Chris is patient, funny, kind and absolutely is passionate about his gift. I am beyond grateful for his teaching style and overall great personality. Lucky to those who are under his tutelage. Chris is AMAZING! What a fun and educational night for parents and children alike. HIs enthusiasm is contagious and his knowledge is boundless. 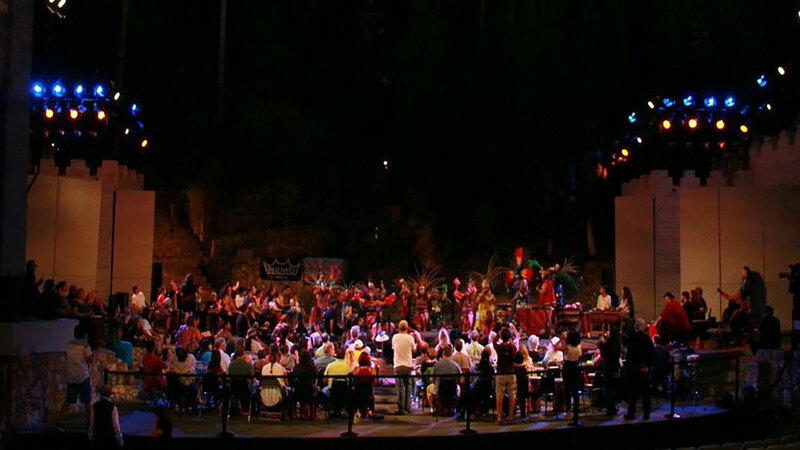 Looking forward to another drum circle!! I was referred to Chris by the drum circle in North Hollywood. The gentleman on the phone told me that Chris is the best, when you need to conduct a drum circle off site. I called Chris before the holidays. He was very responsive. Provided me with his cell phone and emaill address to communicate. You can tell, over the phone, that he has been this a thousand times, and in a professional manner. On the day of the drum circle at my house. He arrived early to set-up. He brought in a good variety of drums and shakers and bell instruments. He talked with everyone in the team, to get a sense of the group vibe. He was excellent in getting little kids to adults involved in the music making process. Everyone had a great time. I highly recommend Chris, if you need a drum circle leader, he is the MAN!